Whistler Hotel Deals. Luxurious surroundings. Après ski heaven. Fantastic restaurants. All within moments of glorious skiing. "I owe my success to having listened respectfully to the very best advice, and then going away and doing the exact opposite. " What impression will you bring home from your Whistler vacation? 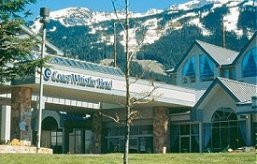 The Whistler hotel deals are really attractive. You are about to spend a pretty good amount of cash enjoying the wide variety of attractions that make Whistler a fantastic place to visit. Think back to other vacation trips you may have taken. What is the most important thing you remember that really “made the trip,” or “ruined it“? We bet it was your Accommodations……good or bad. What will you remember of your rooms? Will it be the “price” you paid…. or the cozy fireplace that you enjoyed after a fantastic ski day? The worn carpet, or the snowflakes falling on your heads that night in the hot tub on the balcony when love was in the air? 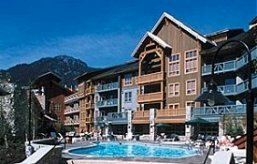 Room rates are important we agree, however, search the hotels below for the added amenities that will enhance your accommodation, causing you to remember your Whistler vacation as, “the trip of a lifetime.” Be sure to inquire about Whistler hotel deals too. 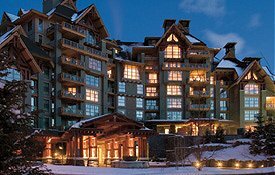 When we say Whistler luxury accommodations we really have the Fairmont Chateau Whistler in mind. The classic beauty of this hotel is only surpassed by it’s great location. Immediately adjacent to the chair lifts. We loved the way we swam out to the heated outdoor pool from the inner one and watched the skiers shush by merely feet away. Adjacent to it is the Chateau Whistler golf course. Recently the hotel and golf course were rated #1 in Canada. Rates starting from $249. Per night. Whistler hotel deals. You will fall in love with the location of this fine hotel. Only a 5 minute walk from the ski lifts, shopping at the doorstep. Surrounded by the holiday ambiance of joyful enthusiasts. Moments away from the Whistler Conference Centre and the Chateau Whistler golf course One of the best Whistler mountain accommodations. Two bedroom, three bathroom suites also available. Rates starting from $109. Per night. In the centre of the Village. Surrounded by great dining, shopping and nightlife. A short walk to the lifts. Tour both Blackcomb and whistler mountains year round. Golf, ski, mountain bike, hike. Heated outdoor pool, Jacuzzis and exercise room. 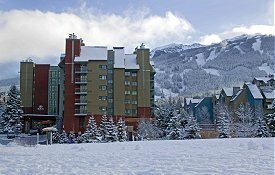 Ask about Whistler hotel deals. Rates from $115. Per night. Ah, the beauty of it all. The First Tracks Lodge is so close to the mountain you may ski out the front door to the lifts. Ski home to the back door. Conveniently located at the Dave Murray gondola at Creekside. Tastefully appointed the lodge features fully equipped kitchens, insuite laundry, and some suites have gas fireplaces and balconies. Rates starting from $169. Per night. The beautiful Four Seasons Hotel is comfortably close to the slopes. The hotel not only has rooms and suites, it also has comfortable town home to enable the luxury of mountain living. 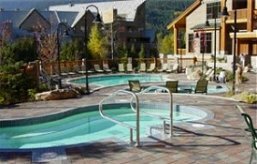 Unwind at the spa and whirlpool after a day of hiking, skiing or simply enjoying the great outdoors. Rates starting from $295. Per night. Located very near the base of the mountains you will have quick access to the ski gondolas. 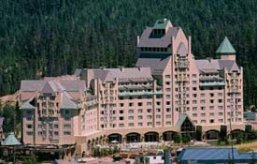 Regardless if it is a ski trip or a great golf getaway you have in mind, the Hilton Whistler Hotel will be a pleasant surprise. Vacations in Whistler create wonderful memories to last a lifetime. Be sure to ask about Whistler hotel deals. Rates starting from $158. Per night. Le chamois is a beautifully designed ski in ski out hotel in the European tradition. Located at the base of Blackcomb a short walk from the ski lifts. La Rua and Thai One On (Don’t you like the name!) are two fine restaurants within the hotel. Outdoor heated pool, underground parking, unbelievable view, this hotel has it all. Rates starting from $145. Per night. 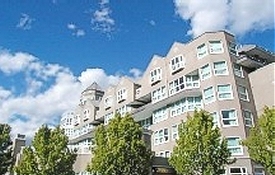 Whistler Legends condos are located at the base of Whistler mountain but at the creek side express gondola. Creekside is away from the hustle and bustle of the Village but don’t let that lead you astray. 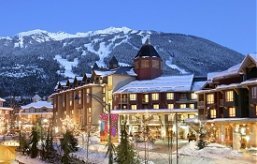 This is one of the best Whistler hotel deals. Ski in Ski out means you put your skis on at the front door. Glide to the gondola and away you go. Concierge service, ski storage and underground parking. These condos have everything you want for a great vacation. Fully equipped kitchens, washer and dryer, soaker tub and private balconies. Rates starting from $149. Per night. Read about Asheville North Carolina lodging & tourist attractions.